More people are working from home on computers...and more professionals are experiencing back pain, neck pain and other home office disabilities from poor posture or poorly designed workplace ergonomics. If you spend more than 4 hours each day sitting and working from a computer - you could probably benefit from our services. 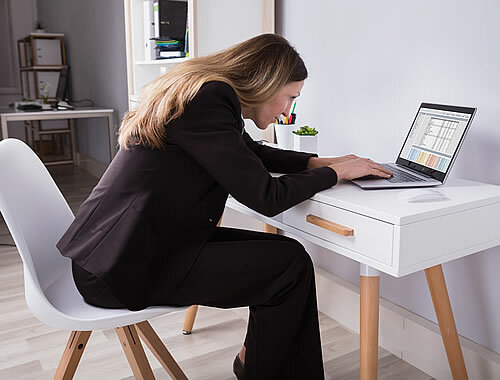 Kristie Nelson of Industrial Motions, Inc. can help you minimize your risk of developing musculoskeletal disorders in your home office or workplace. Kristie is an Accredited Office Ergonomics Evaluator by North Carolina State University. 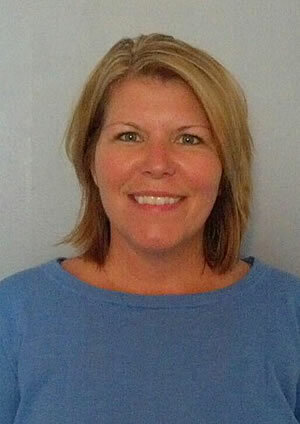 Kristie can provide you with comprehensive remote workstation evaluation. You can fill out the form at the right - Kristie will respond quickly. She will ask you for 3-4 good photos of you working at your home office desk or work station, assess your situation and give you active recommendations on a phone call to help you get a more healthy workplace. Quick feedback and modifications to your work station will help you be more productive with less pain. We use a flat fee of $125 for this service. These are people trying to position themselves to keep from experiencing pain. Get REAL Help - Schedule for a Remote Assessment. What is your reason for needing an assessment? 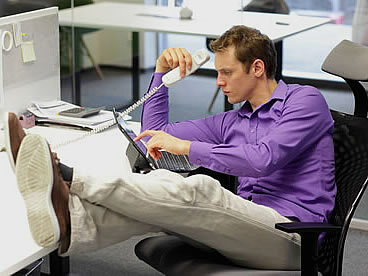 Bad office posture leads to Low Back Pain, Carpal Tunnel Syndrome, Neck Pain and Tendinitis. Call Industrial Motions to find out more about your ergonomic risks and how to make corrections before you injure yourself. I just want to let you know how appreciative I am that you took the time to speak with me regarding my desk set up and that Kristie contacted me. Kristie was very personable, informative and patient with me on the phone and gave me great suggestions after I had sent photos of my work station. Thank you again for "going the extra mile" to help me!